I've accumulated a lot of Sanrio stuff in the past couple of years and can easily decorate a room with what I have collected. A room full of my secret stashes that I hoard to myself because I am obsessed over collecting little things like erasers, pencils, stickers, and many more. This is my treasure room. While my treasure room is crowded with my collection, I am always waiting to add special older pieces that I cannot find in stores or online. While I might one day would like to score the original vintage collectible, I wouldn't mind getting a remake or retro design of the items that I have on my wishlist. Most collectors have a long never ending wishlist to score. Myself included. For this list, I will only highlight the important ones that I really want. 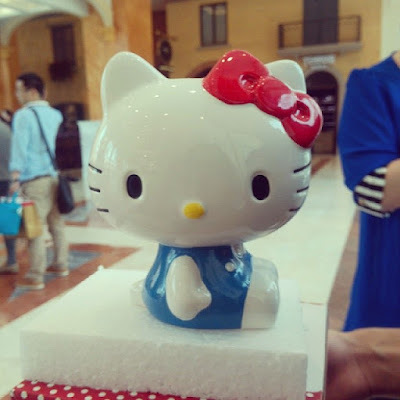 I am always wanting to own large sizes of ceramic figures. 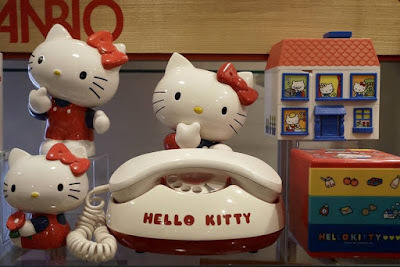 I think I want to own one of all 6 of my favorite Sanrio characters and put them in a glass display case. Crazy, huh? You are probably asking where I would find the space, but in my case--- there are no worries for this collector. Would you give up the opportunity to own this collectible below? I know I couldn't pass this up. Double major points if I could get my hands on one in the future. I know the ones who manage to score one of these rare dolls are truly lucky souls to have been graced this blessing gift. I am one of those lucky souls. Truly something precious. 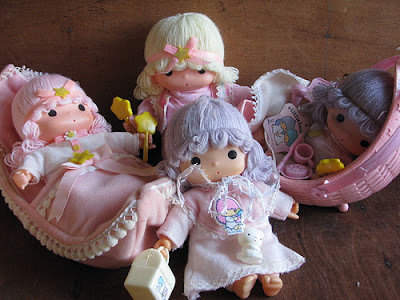 I would love for a replica or retro doll to be released one day. 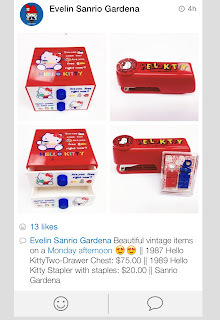 One of my fondest childhood memories was owning this Hello Kitty stapler. It would let you staple cute HK staples on a paper. It was something that I most enjoyed having when I was a kid. Even my teacher in grade school thought it was cute because I had turned in one of my assignments with a Hello Kitty face staple. 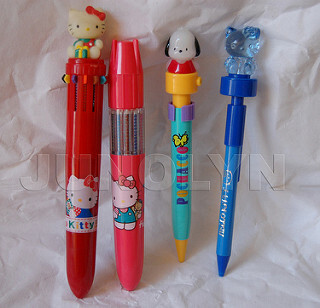 The fact that Christmas is my favorite holiday was because I remembered that the HK/Pochacco flashing light up pen came out around the holidays. The whole store was filled with so many goodies, but this stood out the most because it would light up when pushed down. 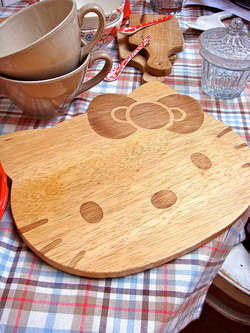 This cutting board just screams too cute style for grown ups! It's something you definitely know older adults wouldn't mind using in the kitchen. I know I would! It's not pink or plastic! Well, that completes my list for the year 2015. All choices on the list have already been released and cannot be found as easily to obtain and add to my collection. Hopefully, one day. Until then, good luck to all collectors working on their never ending wishlists.